Australian greens leader Senator Richard Di Natale has described the nation as an ”international embarrassment”. Picture: AAP /Lukas Coch. AUSTRALIA has been described as an "international embarrassment" in the wake of the shock Liberal spill which today cost Malcolm Turnbull the prime ministership. Treasurer Scott Morrison this afternoon emerged victorious from the Liberal Party bearpit and will become Australia's 30th prime minister - the sixth in 11 years. Mr Morrison defeated the key challenger Peter Dutton, a former cabinet minister, by a vote 45-40. But the fallout over Mr Turnbull being removed by his own party has been swift and severe. 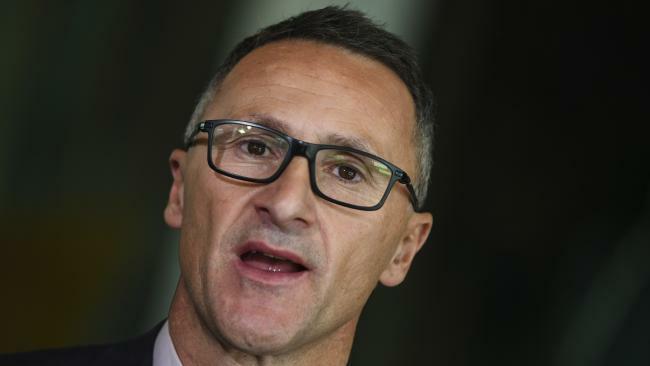 Greens leader Richard Di Natale addressed media in Melbourne after Mr Morrison was announced prime minister elect. He was scathing in his assessment of the nation's continuation of extraordinary political instability. "The vengeance that we have seen play out over the last week … has been a disgrace. It has been shameful." Mr Di Natale said. 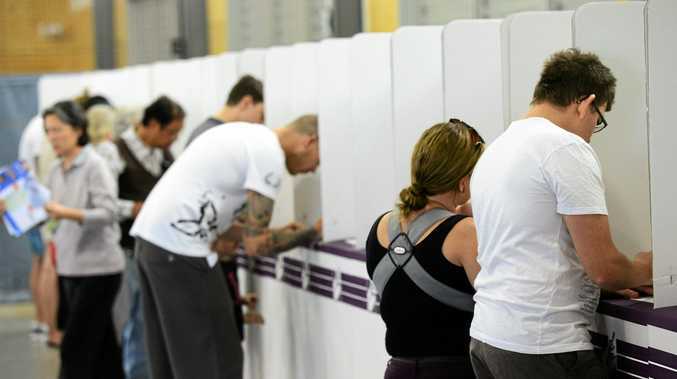 "It has made Australia an international embarrassment and it's about time both sides of politics realise that they are there to govern for the community - not for themselves, not for their corporate donors, but for the people who elect them." Mr Di Natale said the Liberal Party was "tear(ing) themselves apart" and that the "vote solves nothing". "It guarantees the division (and) the payback will continue (and) that this government continues to be paralysed," he said. "We've got a state that's in drought and (the government is) paralysed whether it comes to climate policy, energy policy (or) economic policy. "One thing we know for sure: this is going to continue." Mr Di Natale's comments came after he yesterday stood up in parliament to condemn the backroom dealing by Mr Turnbull's enemies who had huddled to unseat him. "We have people across the country who are suffering and look at what you're doing," he said on Thursday, listing national woes including the worst drought in half a century that has forced some farmers to shoot their livestock. "You are so focused on yourselves that you've forgotten what the country elected you to do. And that is to govern for them, not you." His speech was echoed on social media, where Australians vented their frustration at the latest antics. "What a bunch of dysfunctional, self-absorbed amateurs. Australia deserves so much better," one Twitter post read. The dysfunction began when Mr Turnbull was turfed out as leader of the then-opposition Liberal Party by his chief nemesis, arch conservative Tony Abbott in late 2009. Mr Abbott then lost the 2010 national election to Labor's Ms Gillard, who had toppled her own leader Kevin Rudd in a ruthless takeover just weeks earlier. Ms Gillard was similarly kicked out by Mr Rudd ahead of a 2013 election, meaning that in a dizzying turn of events the prime ministership went from Mr Rudd in 2010 to Ms Gillard and back to Mr Rudd ahead of the 2013 poll won by Mr Abbott. Fast-forward to 2015 and Mr Turnbull got his revenge by dramatically forcing Mr Abbott from office in a Liberal Party coup, claiming the government faced defeat at the next election without change at the top. Mr Turnbull went on to win 2016 national polls, but Mr Abbott didn't go quietly and has been a frequent critic from the backbench. He is widely seen as one of instigators in this week's latest sorry chapter in Australian politics. Crime A street brawl erupted last night after police were attacked.